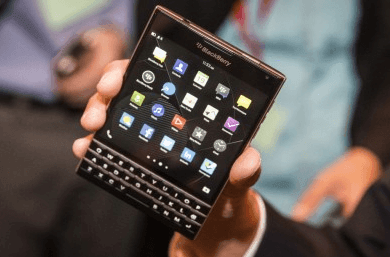 The name BlackBerry is known for providing the world’s most secure smartphones. The company is now addressing safety and security, two of the most important factors for next-generation connected and autonomous vehicle software, with the launch of QNX Hypervisor 2.0. This new real-time Type 1 Hypervisor based on QNX SDP 7.0, BlackBerry’s most advanced and secure 64-bit embedded operating system, enables developers to partition and isolate safety-critical environments from non-safety critical conditions, ensuring that no critical systems are put at risk. The BlackBerry QNX Hypervisor 2.0 creates various virtual software containers, such that any hiccup or breach in a single car functional domain can be isolated and does not impact or create vulnerabilities in other domains of the car. One example is the virtual cockpit, which uses a single System on a Chip (SoC) to run both an infotainment system and the car’s digital instrument cluster, which comprises the speedometer, odometer and gas tank indicator. The digital instrument cluster interfaces with critical driving systems and thus needs to be both safety certified and architected in such a way that security is ironclad. With QNX Hypervisor 2.0, each of these two systems is isolated and kept safe, so that if the infotainment system were to crash, it would not take the safety-critical systems down with it. BlackBerry also announced that Qualcomm Technologies has adopted QNX Hypervisor 2.0 as part of certain digital cockpit solutions. Combining BlackBerry’s hypervisor with the high-performance compute and connectivity capabilities of the Qualcomm Snapdragon 820Am automotive platform can support automakers to integrate the infotainment system and instrument cluster using the same SoC. Support for QNX Hypervisor 2.0 on the Snapdragon 820Am automotive platform is available for evaluation by Qualcomm Technologies’ customers today. BlackBerry’s QNX Hypervisor 2.0 complies with IEC 61508 SIL 3 for industrial safety, IEC 62304 for medical device software, and ISO 26262 ASIL D for automotive safety.